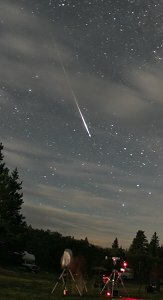 Wednesday night, August 12 was a fabulous night for meteors, with the best display of Perseids for many years it seems. 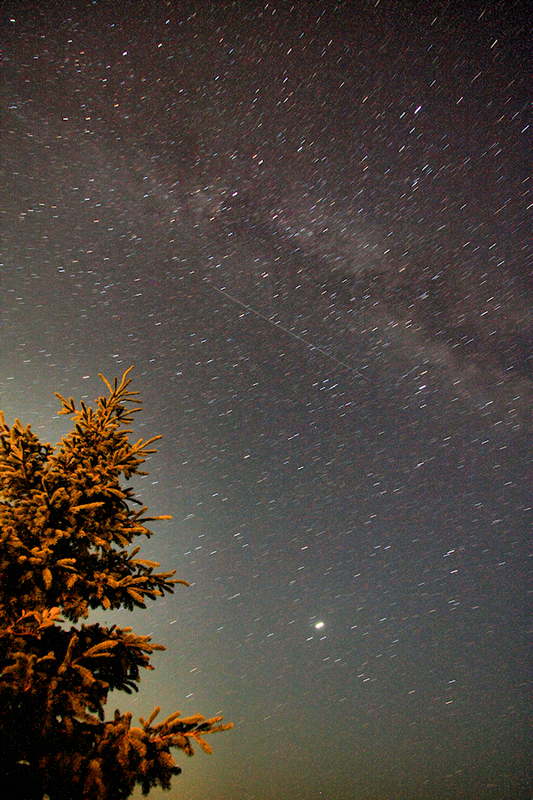 These shots were taken at the annual Saskatchewan Summer Star Party in Cypress Hills Provincial Park, Saskatchewan, Canada. 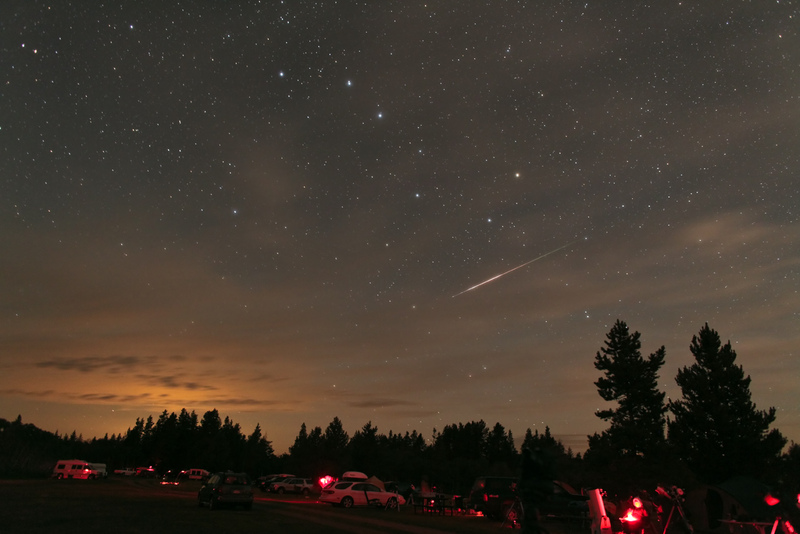 About 400 stargazers are gathered in the Park for a weekend star party and conference. 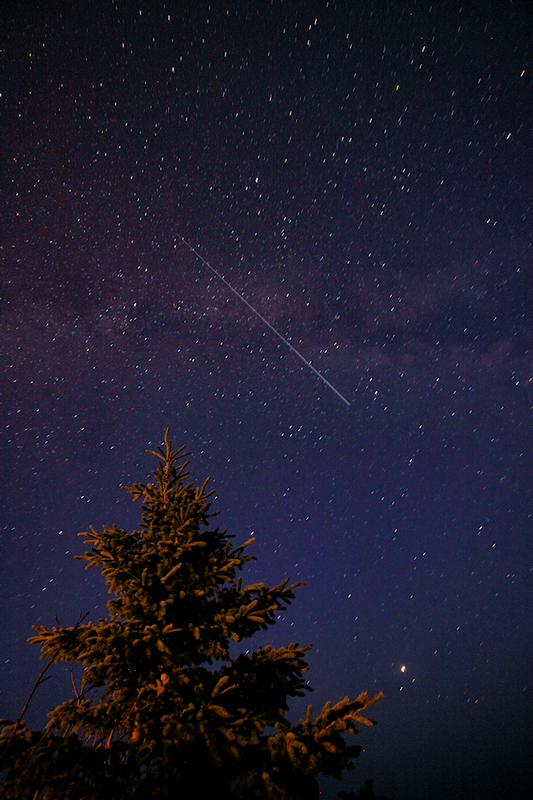 One shot is looking north toward the Big Dipper (taken with a Canon 5D MkII - 30s exposure), the other is looking south toward Sagittarius (taken with a Canon 20Da - 45 second exposure). 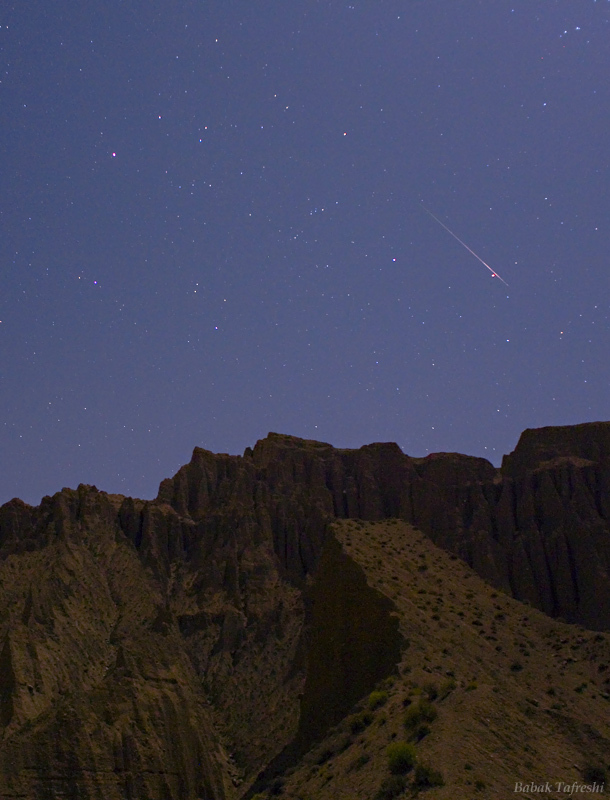 Each is one frame, with the brightest meteor in the sequence, of a 260-frame time lapse movie. 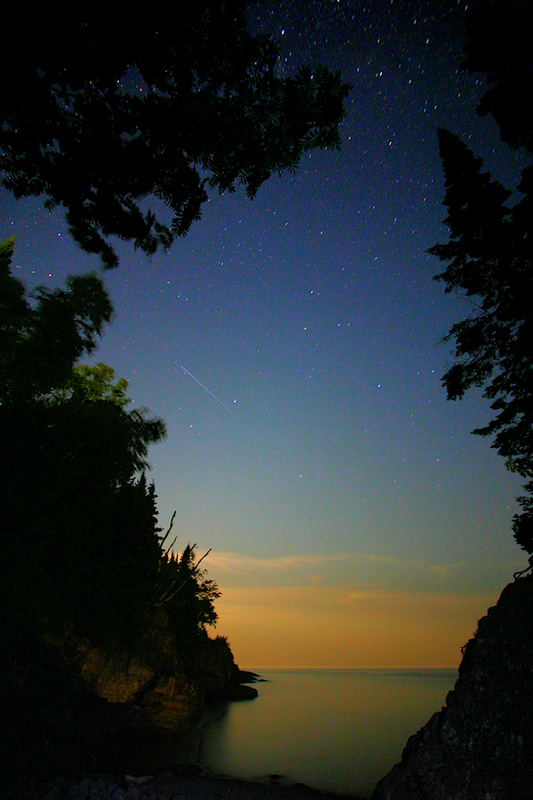 Taken from the north shore of Lake Superior in Minnesota (Tofte and Grand Marais). This was one of the best showers I have seen, compounded by the lack of light pollution up north where the milky way absolutely glows, and looked exactly like my the pictures. 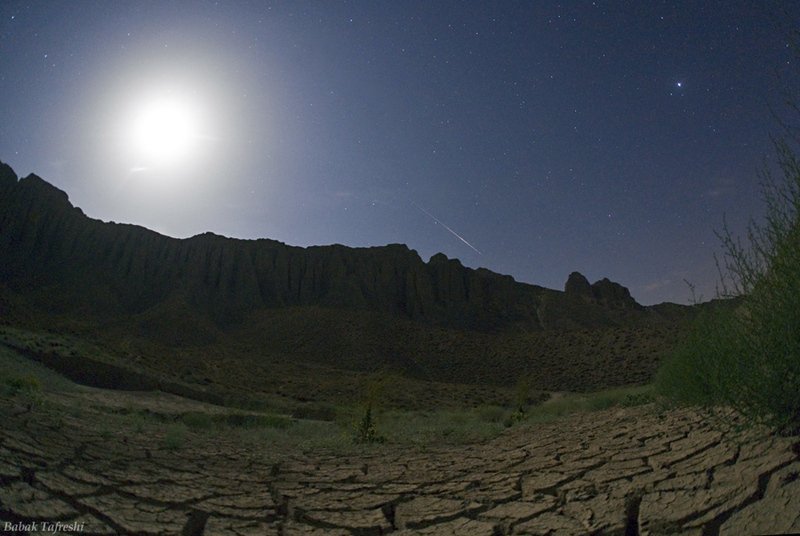 Photo details: Canon 40D and 300D, Canon 10-22mm, 50mm 1.8, 18-55mm. 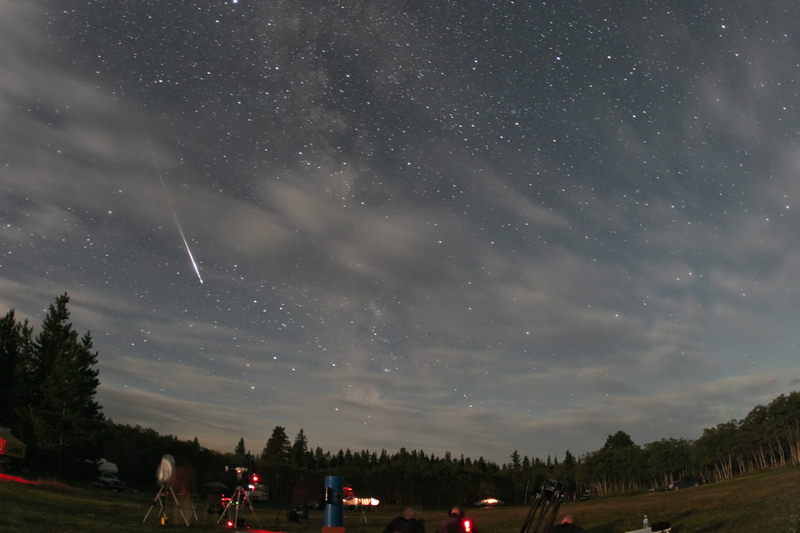 Our team (Antal IGAZ, Csilla TEPLICZKY and Istv�n TEPLICZKY) prepared for the observation of the Perseid shower with expectations. We set up our observing site near Tata (+47,57 N, +18,78 E, 120 m) and turned the Watec H902 camera with a Computar 6mm f/0.8 objective toward the UMi-Draco region. 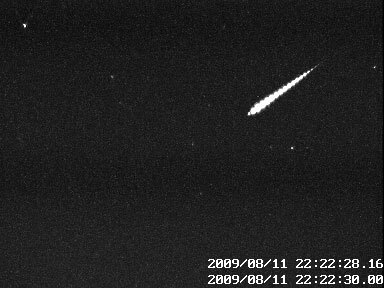 During 4 hours MetRec software (www.metrec.org) detected 60 meteors of which 52 were Perseids, some examples shown below. 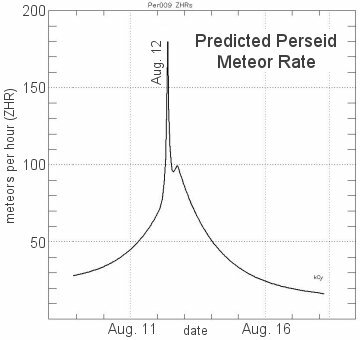 Analyzing the data with Radfind our Perseids came from RA: 46.9 D: +57.0. 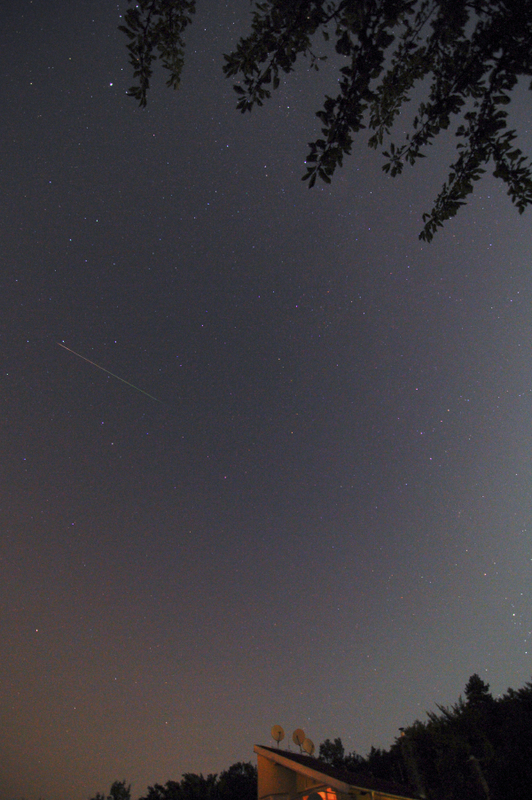 66 minutes of Perseids. 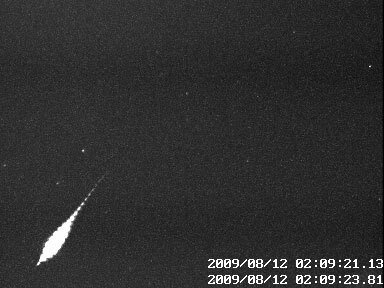 We photographed (Ivan Majchrovic( and me) Perseids 2009 only 66 minutes, because after midnight was sky fully covered by clouds :( But on our cameras we capture many bright meteors, mostly Perseid. 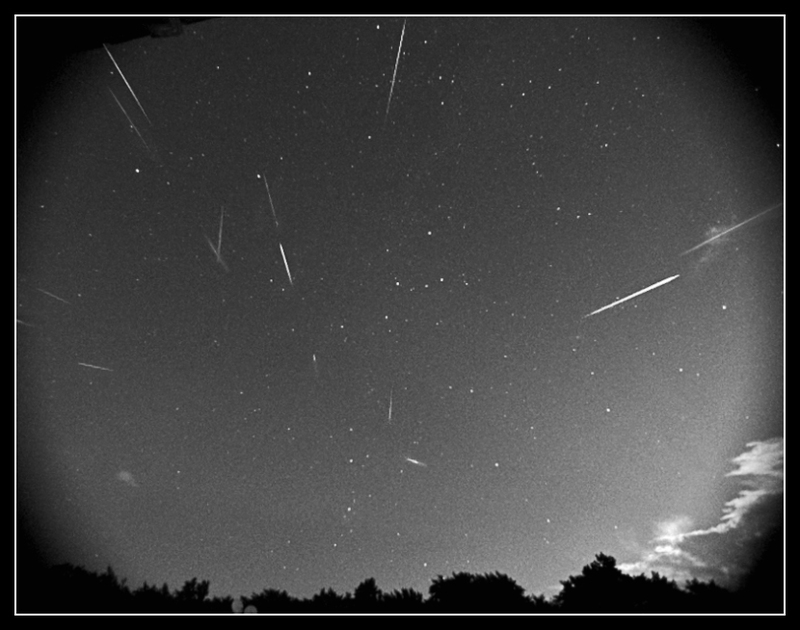 Unfortunately, in Europe this year big maximum was not observable... Photo details: Stack of 15 meteors, captured during 66 minutes from 21:21 to 22:27 UT on August 11, 2009 with CCD camera astropix 1.4 and 6 mm Pentax lens, gain 30/30, exposure 1 second each frame. 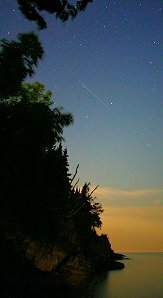 Despite the moonlight many bright meteors were captured in my digital photographic cameras. 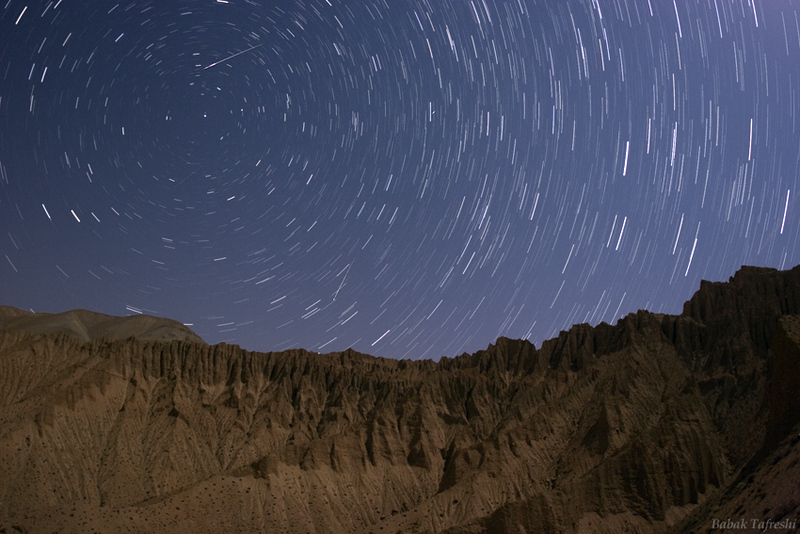 I was located in the dry side of Alborz Mountains (the southern desert side) near Firouzkooh, and facing magnificent rock formations. 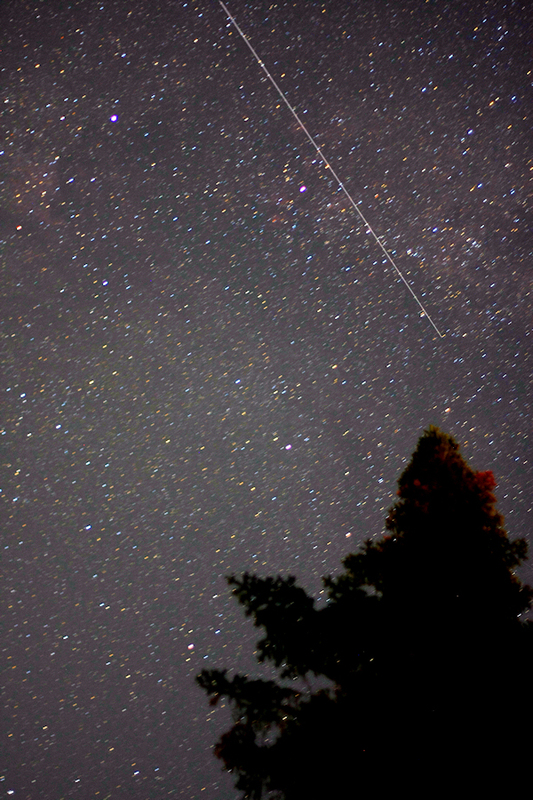 The circumpolar startrail image shows 4 Perseids and a bright point like (very small trail) flash.